Can anyone give the book value on a 2007 320i? If you can't get help here, phone your insurance and ask them. And a book value of a 2009 118i manual? Injection is cool, but i'd rather be blown! (20-01-2015 09:28 AM)bmsportzn135i Wrote: And a book value of a 2009 118i manual? Is it a 3dr or 5 dr? (20-01-2015 11:03 AM)bmsportzn135i Wrote: 5 door. leather interior. Can you provide figures for a 2006 E90 323i sportspack ? Hi 2007 e90 325i m sport ? 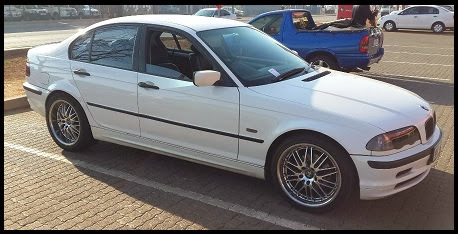 Mine is a 2008 Exclusive 320i Manual. Thanks bud. Hi. Can you please give the trade and retail of a 2001 x5 3.0 petrol. Fullhouse. (20-01-2015 02:46 PM)3speed Wrote: Hey Tris. I have access to this info and don't mind helping out.